If you live in Denver, Colorado, then you are fully aware that your car is always subject to hail damage. Fortunately, dents caused by hail, careless driving, and other minor collisions can be quickly repaired using our proven and tested methods such as auto hail repair and paintless dent removal. With over two decades of experience in the industry, Tip Top Auto Hail have learned, developed and mastered specialized techniques that are both reliable and cost-effective. Tip Top Auto Hail can work on removing and repairing dents without sacrificing the safety of the vehicle. Our team of technicians works carefully with the damage by gaining the best entry point to the dent. 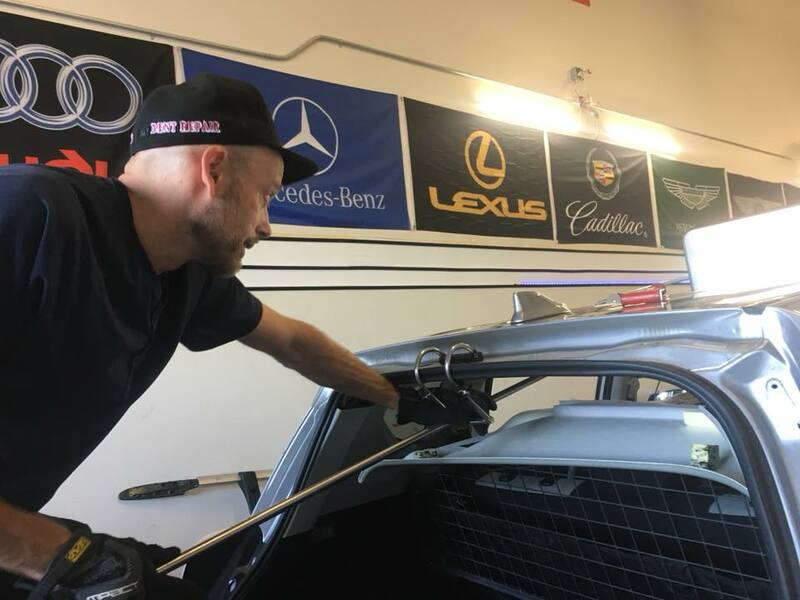 Instead of covering the dings and dents using paint and filler as traditional method goes, we go through the underside of the damaged panels and carefully, we restore it to its original condition by gradually flexing and massaging the damaged part. In the industry, this process is known as paintless dent repair or paintless dent removal. At Tip Top Auto Hail, the service usually takes only a day. With over 20 years of experience in auto maintenance and repair industry, Tip Top Auto Hail had already proven so much and is considered as one of the industry’s leaders in auto hail damage repair. Since 1998, the company has been providing top-notch services not only in Denver but as well as in its neighboring communities. We offer premium Paintless Dent Repair (PDR) services and specialize in staffing Collision Centers in hail damaged regions. We also work with insurance companies to ensure that your vehicle is repaired to its original condition. Tip Top Auto Hail will get your car back in tip top shape after a hail storm! Need Help With Your Vehicle? We’ll repair it. Locally owned and operated, Tip Top Auto Hail is a fully insured Auto Hail Repair shop.